I’m sure we’ve all heard stories of young adults who got their first credit card and got into all kinds of debt. Luckily I never got into that mess. Instead I blew a bunch of cash from student loans and summer jobs on partying. If I was into shopping, it could’ve got a lot uglier. When young people suddenly have access to credit there is sometimes just too much temptation. They likely didn’t have a whole lot of spending money earlier in their lives. They were also probably more accountable to their parents in the past. The new-found freedom is just too much to resist. Beyond the temptation, a lot of young adults just don’t realize the downsides of using credit cards and the trouble they can cause. They simply start charging thinking they can pay that money back whenever they want. Somehow they justify the interest charges as a small price to pay for not having to wait. Instead of learning about credit cards through mistakes, there is a better way. Rather than getting a credit card while in college or shortly after, they should consider opting for a prepaid card instead. Basically they could get a lot of the convenience of credit cards, but without the risks. There is no chance of overcharging and ending up with a hefty bill. If they’re charging on their prepaid card, they have no choice but to load money onto the card first. Sure this may seem like a hassle at first, but that extra planning helps develop healthy spending habits. You get in the mindset of only buying what you can truly afford. If you don’t have the money upfront, you simply cannot make the purchase. Plus you think twice about purchases to decide if you really need that item. For today’s generation one of the major conveniences that would be available with this strategy is online shopping. Without some kind of charge card, it can be quite difficult to shop online. A prepaid card can take care of that need without an excessive spending binge. Eventually it might make sense to upgrade to a credit card, but that prepaid card usage should give a better appreciation of charging things to your card. Now that you are accustomed to having to fully fund any purchases you charge, that should just be second nature to you. Because you’ve had a charge card for a while now, you wouldn’t look at it as a tempting loan. Ideally by then you are also a little older and more responsible. You might’ve even become more financially responsible due to life experiences in that time. You might have a greater appreciation for money and how important it is to properly manage it. Maybe you’re over the temptation of buying things you can’t really afford. Of course, this won’t be the case for everyone who starts off with using prepaid cards. Some of those people will still jump at the chance to rack up a bunch of debt. This is why it is important to not rush to move on to credit cards too early. Take your time and put that off until you are sure you will use your credit card responsibly. In the meantime, read up more about how to avoid credit card debt. Maybe read about how others got into problems and how it affected their lives. You don’t have to make those same mistakes. By learning the ropes with prepaid cards you can avoid that situation and learn how to use charge cards to your advantage. Prepaid cards aren’t just for young people though. Adults of all ages can benefit from them by using them for budgeting, savings or risk-free shopping. Perhaps you want to limit yourself to a certain spending limit while shopping. Or maybe you just want to separate some of your spending for easier budget tracking. Not everyone is comfortable using their credit card for stuff like online shopping. So don’t just assume they are only for people who don’t yet have a credit card. Everyone can benefit from them. it makes sense, seriously. Credit card for youth is opium… Thanks for the bright idea! Yes young people are usually just not prepared to handle that kind of responsibility. 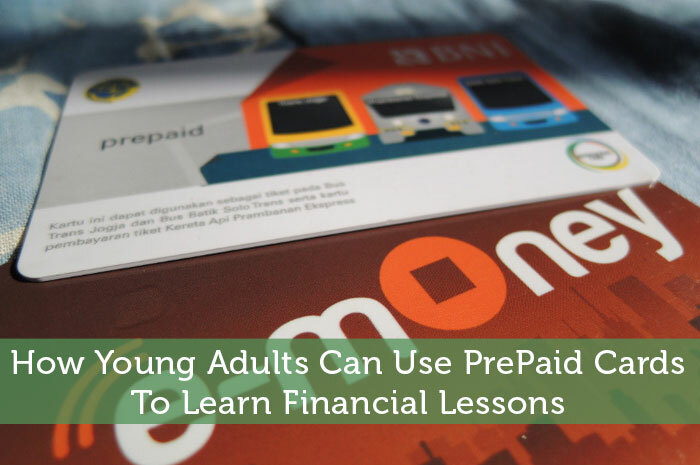 I think a prepaid card can be a good thing to use to help young people learn how to manage their finances – as long as they’re not laden with fees. We’ve had family members use them in the past and usually with good results. You’re right that not all prepaid cards are a good deal. Some do have especially high fees as they try to target less educated consumers. Be especially careful about cards that are very flashy. I know some celebs have been promoting cards that are big ripoffs. I think of a ‘ pre-paid ‘ card as a Debit Card. It seems such a simple idea, it sort of is like having cash in the form of a card, which makes it safer. Here in Austria, we mostly shop with it. Easy and comforting. Of course the real lesson we need to heed : Possessions are not who we are.. It is really just a debit card that needs to be preloaded. I have seen people refer to them as debit cards before. The difference is that it is easier to use online than a debit card. I didn’t realize they were so popular in Australia. I think this is a very good option for young adults. You can only spend what you have, so it makes it easier to deal with. John is right about the fees, but if you get a card that is not endorsed by some celebrity, you have a good chance of getting a good card. Funny that you mention celebrities since I referred to their cards in a comment reply above. I hear Beiber is the latest celeb to be pushing a high fee prepaid card. This is actually a pretty good suggestion. It teaches people to use cards only when they have the money to pay them off. I guess it also gets kids used to using cards, so there is a bit of a danger there. Still, this is a pretty responsible way to go. It does teach budgeting and the value of money however, it doesn’t teach “paying back.” The whole point of a CC is to borrow and they pay back money. So many people are now comfortable borrowing money and not paying in back in full, on time. This is costing people tonnes of money in interest charges. I think we need to educate people on the importance and relevance of paying back ANY debt, on time, in full. No the paying back part does need to be learned separately. At least this strategy avoids the temptation of having easy cash to borrow when people are younger. With any luck they carry over the same mindset to credit cards and just charge what they can afford to pay off. It might not teach paying back, but it helps build the habit of not borrowing at all, yet enjoy the benefits of not carrying cash. Perhaps the next step after a prepaid card should be a credit card with a very low limit. A prepaid card alone is not a perfect way to teach responsible credit card usage, but it is a step in the right direction. I think if you get a credit card for the sole purpose of trying to build your credit rather then going on a huge shopping spree your going to be pretty safe. You have to be mature enough and responsible before even thinking about credit cards. Building credit is one of the things lacking in going the prepaid card route. Even if you get a credit card to build up credit, I could see some people giving in to the temptation, especially when they are young. So it really might be best to wait a bit on that move. It sounds like a good way to grab the concept of not spending more than what is on the card, but the transition to credit can be tough. And you get less credit history if you want a mortgage later on. Yes those are downsides of this approach. Maybe they could also get a credit card early on but ask their parents to hold onto it until they are ready. so the difference between a debit card and a prepaid card is that debit cards are directly connected with a checking account, while prepaid needs to be preloaded? that`s the only difference? I`ve noticed that many have commented that it doesn`t learn people to pay back, but here`s the thing. Many of PF blogs are about getting out of debt, and hating debt. so why so obsessed with credit cards and thus gaining debt? It´s like an evil circle, you use credit card, gain debt, pay it down (with interest), than gain more, pay some down. It`s all about debt and downpayment. I´m sorry but I´ve just never understood the American/Canadian way of thinking when it comes to credit cards. I truly believe that if credit cards hadn`t been considered the norm, then people wouldn`t find themselves with such massive amounts of personal debt. It`s constantly allowing people to use money they don´t actually have. I´ve always used a debit card, which actually learns you to handle the money you actually HAVE, and if you spend all your money, then that`s a lesson you have to learn from. It may be tough, you may have to eat canned soup and tuna for a week, but you will learn from your mistakes, and when your next paycheck comes in, you`ll use your money more wisely. Yes that is the difference between prepaid and debit. People do definitely abuse credit cards and cost themselves a lot of money. I guess people are just naturally impatient and want things now. So they justify putting it on their credit card without thinking of how long it will take to pay off. Part of the lure of using credit cards is all the great rewards programs. If you actually use your credit card responsibly they basically pay you to use it. I’ve gotten pretty good about that and make sure I always pay off the balance in full each month. The other thing to consider is that credit cards help build your credit history which helps get better interest rates on things like mortgages and car loans. So while they can be dangerous in the wrong hands, there is plenty of reason why credit cards are so popular. Prepaid cards on the other hand are more about the convenience of not carrying cash. I think it’s critical we teach teenagers how to use credit cards prior to heading out to college. Prepaid cards are a great way to start the conversation and give them some experience before moving to credit cards. After a lifetime of hearing Mom and Dad say “no”, credit cards make it too easy to say “yes” and most college students don’t understand compound interest or the affect bad credit can have on their future. My girls are too young, but when they are in high school, I do want them to become familiar with handling cards before they leave home. They already know that Mom and Dad pay for everything we buy with credit cards because I tell them every time they see me slide my credit card. I completely agree that teenagers should get some kind of lessons about credit cards. Unless someone tells them how to properly manage credit, they are just going to learn from very expensive mistakes. There’s no reason to put your kids through that. While some pre-paid cards are reasonable, most have outrageous fees. I now get one free transaction per donation, but the debt card by which I get paid for donating plasma is ridiculous. $.25 per credit transaction and $.50 per PIN-based transaction. ATM usage incurs a $3.50 charge! And absolutely steer clear of any card that is endorsed by a celebrity. They don’t do anything for free, so if Kim Kardashian, Justin Beiber, or even Suze Orman says you should get a certain pre-paid card, all that really means is that it is going to have high fees that go right into their bank accounts. Your fees sound high, but I am certain that the celeb cards charge a lot more than that. It makes sense that they need to find ways to rake in more money to pay for those celebrity endorsements. Anyone interested in a getting a prepaid card does need to carefully compare fees. Finding hard to resist the temptation is exactly the very reason why I did not get a credit card even when I started earning money for myself. The temptation is just so risky and I do not want to spend many years of paying a debt I acquire for just a month or less. Smart move Jeremy. People do need to realize what kind of temptation they’d be acquiring when they apply for their credit card. Instead they are usually so focused on freedom and ignoring any potential problems. I met a guy who never had any credit card (nor any kind of credit) at 33 and was trying to get a loan. He was told to get a co applicant but unfortunately he didn’t have one. Once you hit 18 and have a job, get a credit card. It is the quickest way to build credit. While the prepaid idea sounds great, it’s best to start them off with a credit card with a minimum balance of $500 *as long as they are working even partttme* to teach them NOT to be afraid of credit cards. I got a card at 19 and by 21 had a score of 721. That’s crazy that someone would wait so long to get a credit card. By that age you really should know the importance of credit and have no excuse. Some people get so insistent that they don’t need a credit card that they forget about the benefits you get even if you don’t use the card. I still think a prepaid card might be better for young people to use on a regular basis to start. I’m surprised your bank rejected you in those circumstances. Perhaps it was a blessing in disguise. With that extra credit you might’ve got into some debt problems or just wasted money on interest. Most young adults are quite impulsive, and yes, even some adults too. Prepaid cards are better. They’ll learn about spending wisely. That is true that impulse spending isn’t just a problem with young people, but they tend to be a bit more susceptible to it since they are thinking less about long term goals.